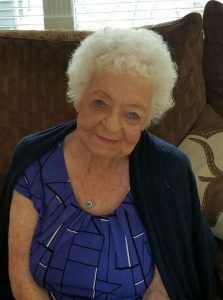 Alva Mae Cothern, 94, of Dickinson, TX passed away February 05, 2019 in Texas City, TX. Alva was born on December 16, 1924 in Baton Rouge, LA. She has lived in Dickinson for the past ten years and formerly of Texas City, TX. Mrs. Cothern attended Glad Tidings Church, served on the Advisory Board at College of the Mainland, she also helped teach the computer class in the senior department. Alva also loved to play Bunco with her long time Bunco group. Mrs. Cothern is preceded in death by her parents Alvin and Mae Doyle; husband Eugene V. Cothern; longtime companion Ivan Duhon; sister Dorothy Desselle and nephew John Desselle. Alva is survived by her son, Michael Cothern and wife Debbie; her daughters: Cindy Gilliam, Robin Bartholomew, husband Michael and Kim Benoist; step-daughter, Belinda Boyd, husband Mike; step-son, Ronald Duhon; step-daughter, Laurie Duhon; grandchildren: Eugene Cothern, Michael Doyle Cothern, wife Mary, Stephanie Cothern, Robert Johnson, wife Joyce, Tara Beaver, husband Chad, Aimee McGuire, husband Keith, Travis Bartholomew, wife Jessica, Ashley Ray, husband Jason, Jarrell Pike, Leslie Nimmo, husband Sean, Lanie Crowder, husband Mark, David Williams and Ivan Strong and 30 great-grandchildren. There will be a visitation from 2:00p.m. to 4:00p.m. followed by funeral services at 4:00p.m. on Sunday February 10, 2019 at Crowder Funeral Home, 851 F.M. 517 Dickinson, TX 77539, with Pastor John Humphries Officiating. The graveside service will be 11:00 a.m. on Monday February 11, 2019 at Forest Park East Cemetery. Memorials may be made to The American Cancer Society in lieu of flowers. We are thinking of you and your family during this time. Please accept our deepest condolences. So sorry to hear… prayers to you cindy Gilliam and family. We love you. Lanie, I’m so sorry to hear of your grandmother’s passing. Sending you my sympathies and loving prayers to you and your family. We are so sorry to hear about your sweet mom. She was a joy to be around and I’m glad I was able to meet her. May God be with you and comfort you during this sad time. Robin, I’m so very sorry for the loss of your beautiful Mom. Sending love and prayers to you and the family. Condolences for all of this lady’s family. She will be sorely missed by all that knew her. All of you are in my thoughts & prayers. I know how you will all miss her. I will always remember how kind & thoughtful & welcoming she was. But my fondest memory will always be of her laughing & teasing me how she had to help me peel my crawfish! She was such a joy & always full of life. Love & miss you all! So sorry for your loss. May God comfort you and your family in this sad time. It was an honor to meet Alva. She was the most beautiful, strong and vibrant woman that anyone could ever meet. She maybe be gone, but her spirit lives long in your hearts. 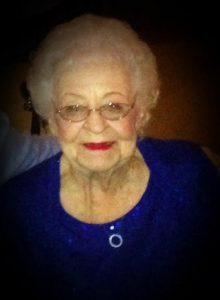 The lord has taken the best angel ever. Love y’all, and my condolences to your family. Y’all are in my prayers. Not sure if my comment went through, but I want give my condolences to the family. Alva was a wonderful lady. She a strong, vibrant, beautiful lady. God has earned and angel. She maybe gone, but her spirit is in your hearts. Love y’all. To all of Nan’s family: keeping you all in prayer during this difficult time. She was a lovely, lively lady and will be missed by many.